Access to each of the four "mini-programs" is provided via buttons on the main screen. Clicking on the desired button will display an intuitive input window for easy data entry. 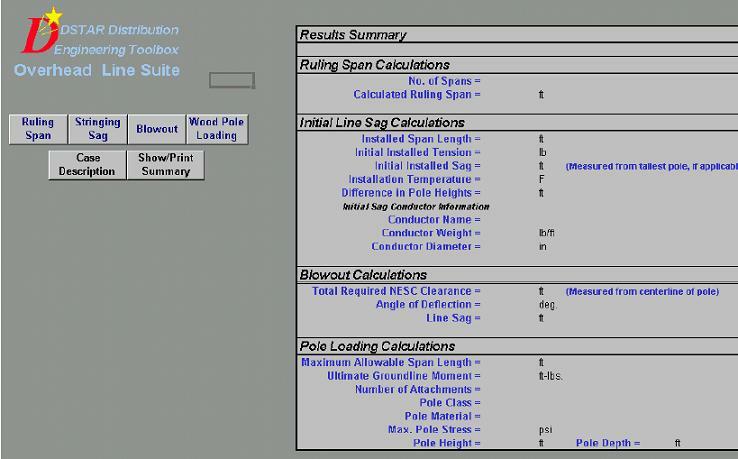 The calculations are based upon standard utility practices, ANSI 05.1-1992, and the NESC guide. The program also offers the user and program administrator significant flexibility in molding the software to satisfy their particular need.